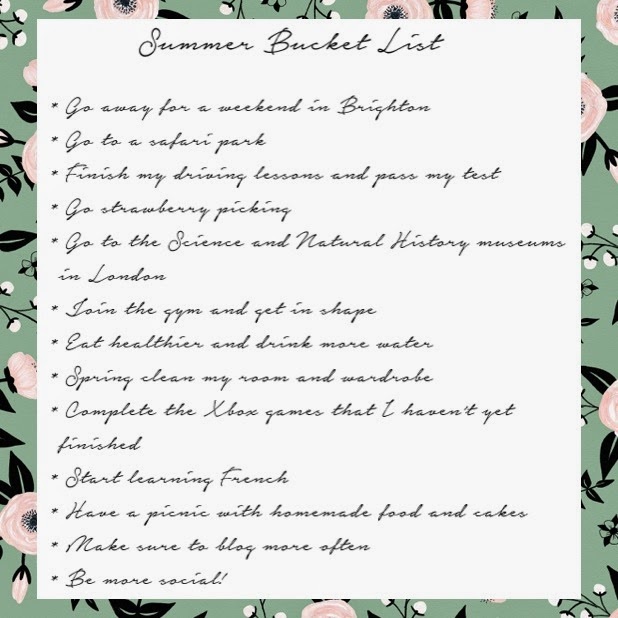 After seeing Megan from Briar Rose make a post featuring her bucket list of things to do in the upcoming summer I felt inspired to create my own and here it is! 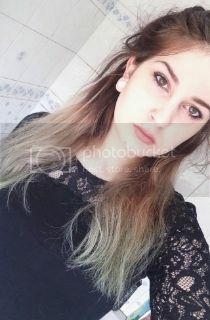 I've included things that I want to do during the summer such as going to a safari park, but also things that I need to do to benefit myself, like joining the gym or being more social because I think it would encourage me more and make me far more likely to actually do them. None of these are particularly exciting, but I'll still aim to make a few posts showing you what I got up to and how I managed to cross some of these off my bucket list. I've already started on a few of these, I'm off for my first gym session tomorrow and I'm currently in the middle of redecorating and slightly updating my room which I'm really looking forward to doing a room tour post on, maybe even a video! Has anyone else been inspired to do a post on their summer bucket list ideas, or have you already got a few things you're aiming to do this summer? Let me know in the comments!